From a pillow maker, these are just too perfect in color, size and shape. my sis is into this animal print as well. i think its cool and funky. Kellie I love it, just perfect!! Cool, very cool. Wonderful accent. Recently, I changed my mind, I do like animal print in decor. It's fun. Who knew?! How fabulous this combination would be. I love it!! 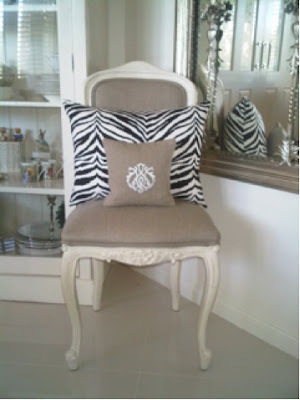 I'm not one for animal prints, but that pillow looks fab against the beautiful gray chair. Love it. Oh yes! A dash of Africa always makes sense. As long as it is faux of course..!! Yep, zebra will never go out of style.....its perfect. Hi Kellie, who would have thought to put zebra print in that style of room? I love unexpected combos like that! 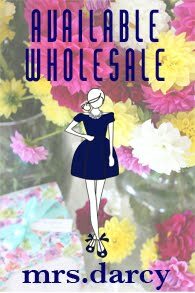 I am totally envious of your beautiful hydrangeas too! Do they all grow in the same spot? I have heard that the soil acidity needs to be different for the different colours to grow..
thank you for all of your totally gorgeous comments lately; how do you find the time to do everything? you are real inspiration! The zebra pillow is wonderful! yes, i have a thing for zebra right now! Yes, loving all your animal prints. I love the pillow! so cute! always love zebra! that customer has a fab home.